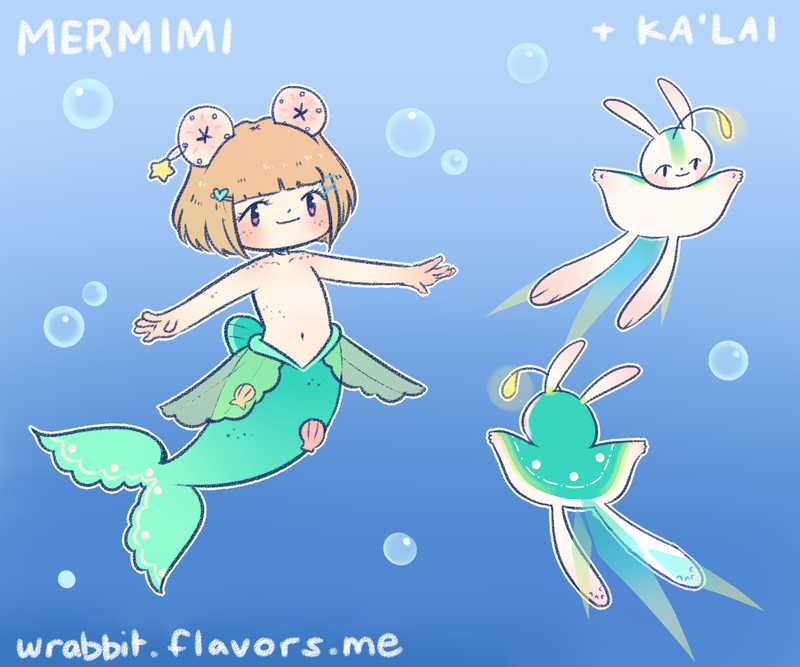 These collab mermimi are available for only $20 each, and come with 2 extras! Hi friends~ This month I'm having a Mermimi/mermaid event, where you can get human forms for your mermaid characters and mermimi versions of your non-mermaid characters! TRADE/RESELL a LOT of designs!! I updated it to have A LOT of them, even old designs. I'm taking trades, $$$ and art mostly ^o^ Please have a look! $30 for both of them! I recently debut my new species, the Mermimi and Ka'Lai.